Boots UK encourages people to find the perfect frames for them at Boots Opticians, in a new colorful advert. 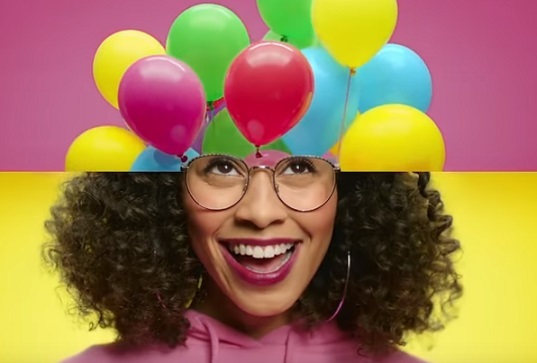 The 30-second spot features several people as they put on various frames and experience a nice feeling, illustrated through different object that complete their heads, such as colorful balloons, half of pineapple, half of sunflower, popcorn, half of a disco ball, an ice cream, a gum balloon, and more. The ad also informs that all additional pairs are at half price (with the cheapest pair at half price) and that all pairs must be bought by the same customer in the same transaction. The frames shown throughout the spot can be ordered into any Boots Opticians. “From our own exclusive brands to top designers, find your feel good frames, at Boots Opticians,” the voiceover says at the end of the advert. The soundtrack music is the 2015 song “Good to Be Alive” by the American singer Andy Grammer, from the deluxe version of his sophomore album, Magazines or Novels.